Shelbie Witte is Professor of English Education and Adolescent Literacy and the Kim and Chuck Watson Chair in Education at Oklahoma State University. She was most recently an Associate Professor and Coordinator in English Education in the School of Teacher Education at The Florida State University. She studies 21st century literacies and multi-modal approaches to adolescent literacy learning, particularly the intersection of these literacies and literacy pedagogy. 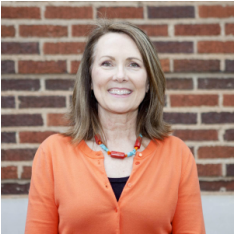 She continues to actively serve as a member of various committees and projects of the National Council of Teachers of English, the Oklahoma Council of Teachers of English, and directs the Oklahoma State University Writing Project. She also holds National Board Certification in Early Adolescence/English Language Arts. She earned a Ph.D. in Curriculum and Instruction with an emphasis on English Education and Technology from Kansas State University, a M.S. in English Education from Kansas State University, and a B.S. in Instructional Leadership and Academic Curriculum with an emphasis in English Education from the University of Oklahoma. Kathy Garland is an Assistant Professor of Educational Technology at Sante Fe College, Florida, where she prepares preservice teachers in undergraduate and graduate programs. Her research is centered on a specific area of 21st century literacies called media literacy education (the study and creation of multiple modes of media). Specifically, she has presented and published on research-based methods for integrating the study of popular culture and other forms of multimedia in traditional secondary English language arts pedagogy. Her dissertation research Literacy Practices in an English Language Arts Elective: An Examination of How Students Respond to Media Literacy Education (2010) suggests that popular culture can and should be used in order to develop students literacy practices. Her academic background includes a B.A. in Secondary English Education from Western Michigan University, an M.A.T. in English from Jacksonville University, and a Ph.D. in Curriculum and Instruction, English Education (with a focus on media literacy education) from the University of Florida. Sheri Vasinda is an Assistant Professor of Literacy at Oklahoma State University. With over 25 years of public school experience that includes elementary classroom teacher, campus reading specialist, and district literacy specialist, she now supports preservice and inservice teachers in developing deep understandings of reading processes and practices and how digital technologies are expanding what it means to be literate. She is curious about what it means to be a teacher in the 21st Century in utilizing new tools and the instructional choices that teachers make at all levels- including her own practice. Her passions include supporting struggling readers and writers through purposeful pairings of new technology tools with traditional literacy strategies and the new opportunities for self-assessment and revaluing of self technologies afford, inquiry and self-determined approaches to learning, and the integration of literacy and technology in disciplinary studies. She earned her doctoral degree and master’s degree from Texas A&M University-Commerce studying Curriculum and Instruction and Reading respectively. She earned her B.S. in Elementary Education with an emphasis in Early Childhood and Special Education from the University of North Texas. George L. Boggs is an Assistant Professor in Literacy at Florida State University. He studies literacies that help people think about and engage locally in communities, with special emphasis on education, the food system, and music. His current projects address authentic writing in and out of school. He learns a great deal about 21st century literacies through participation, especially as a parent, teacher educator, farmer, and musician. He is interested in supporting doctoral students’ research in multimodal composition. He earned his PhD from the University of Georgia. 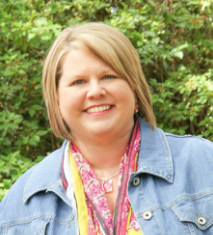 Bonner Slayton is a literacy specialist/instructional coach at Moore Norman Technology Center in Norman, Oklahoma. His research includes finding ways to infuse literacy skills in Career Technology programs and work-place learning and incorporating literacy in all classrooms so students can achieve academic and personal success. He holds a Ph.D. in Instructional Leadership and Academic Curriculum with an emphasis in English Education from the University of Oklahoma, a Master’s degree in English Education from the University of Oklahoma, and a Bachelor’s degree in English from the University of Oklahoma. He holds National Board Certification in Early Adolescence/English Language Arts, co-chairs the CEE Commission for the Teaching of Poetry for the National Council of Teachers of English, serves as a teacher consultant for the Oklahoma Writing Project, and presents at various state and national conferences. Amy Piotrowski is an assistant professor of secondary education and English education at Utah State University's Uintah Basin campus. She is interested in how technology impacts literacy, literacy education, and the preparation of literacy teachers. Her work seeks to advance inquiry into how to teach and how to prepare future teachers in an age where the concept of literacy is expanding to include digital texts as well as print texts. She encourages her preservice teachers to include technology, digital texts, and contemporary young adult literature in their future classrooms. She holds a B.A. in English with Liberal Arts Honors from the University of Texas at Austin, a M.A. in English from Middlebury College's Bread Loaf School of English, and a Ph.D. in Curriculum and Instruction with a major in English Education from Florida State University. Her website is at amypiotrowski.com. Rikki Roccanti is a doctoral student at Florida State University studying the use of popular culture in the English classroom. She earned a master's degree in English from FSU concentrating in post-1900 British and American literature and cultural studies. While working toward her master's, Rikki taught two years of composition at FSU as a teaching assistant instructor. Susan Kent is a graduate of Florida State University studying digital literacy implementation in the ELA classroom. She has taught middle school Language Arts and high school English. 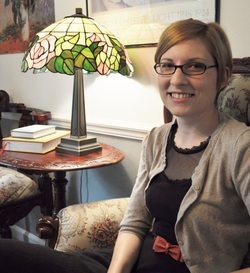 Her prior graduate work focused on Early Modern Renaissance with a special interest in the History of Text Technology (HoTT). She is completing her digital publishing and editing certification. Jose Paco Fiallos is a teacher of World Literature and Creative Writing at Rickards High School in Tallahassee, Florida.In addition, he is a curriculum designer for Leon County Schools, an online instructor at Embry-Riddle Aeronautical University, and graduate of the Specialist program at Florida State University. Paco has served as a beginning teacher mentor and has designed and facilitated professional development sessions at the local, state, and national level. 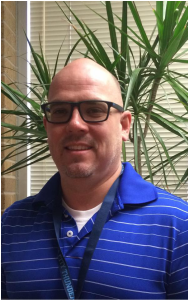 His research includes the use of technology to enhance the teaching of writing instruction and effective professional development practices. Edgar Corral is a preservice teacher at Florida State University and intern at Fort Walton High School, Florida. Sergio Yanes is a teacher at Chiles High School, Tallahassee, Florida, and an adjunct professor of English Education at Florida State University.